Thank you very much for this, it has been very helpful to me. I have a question, how did you secure everything to the plywood? In other words, how is your router, modem, etc. mounted to the plywood? Most of the devices were mountable. They had mount holes on the back. I measured the mount locations and screwed in wood screws about half way. The device easily slide into place. Awesome closet, doing my own and this is a great example. Curious about a couple things: Why use two mounting brackets for the switch and the patch panel instead of just one? Anything you’d do differently after having lived with it for a while? You could use one. The top one I have has a swivel for opening the punch down block if I need to do any maintainance. It swings open so you don’t have to disasmble anything. a) where did you purchase your RG6 coax splitter? I am currently using DirectTV and intend to split the main coax line to feed 6 4K TVs. 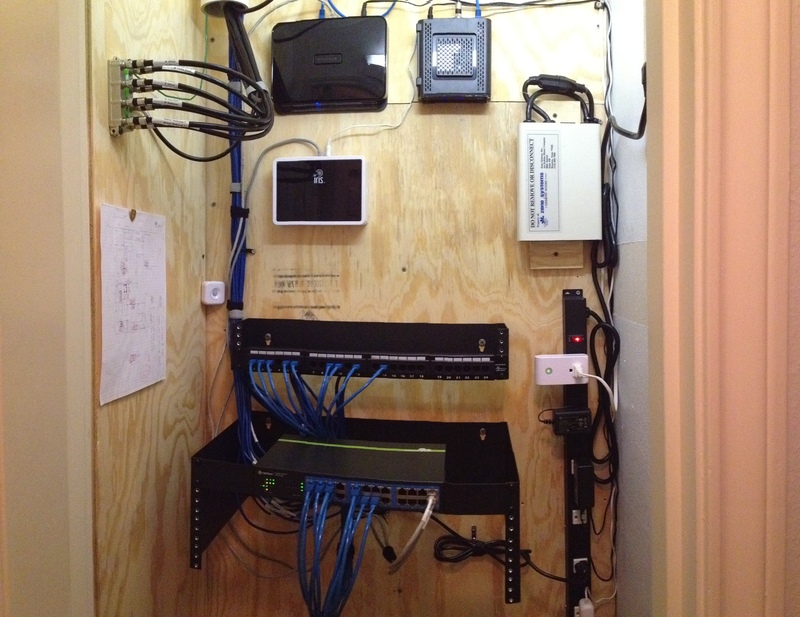 b) Is it possible to use 1 swivel rack that supports both the patch panel and the port switch? 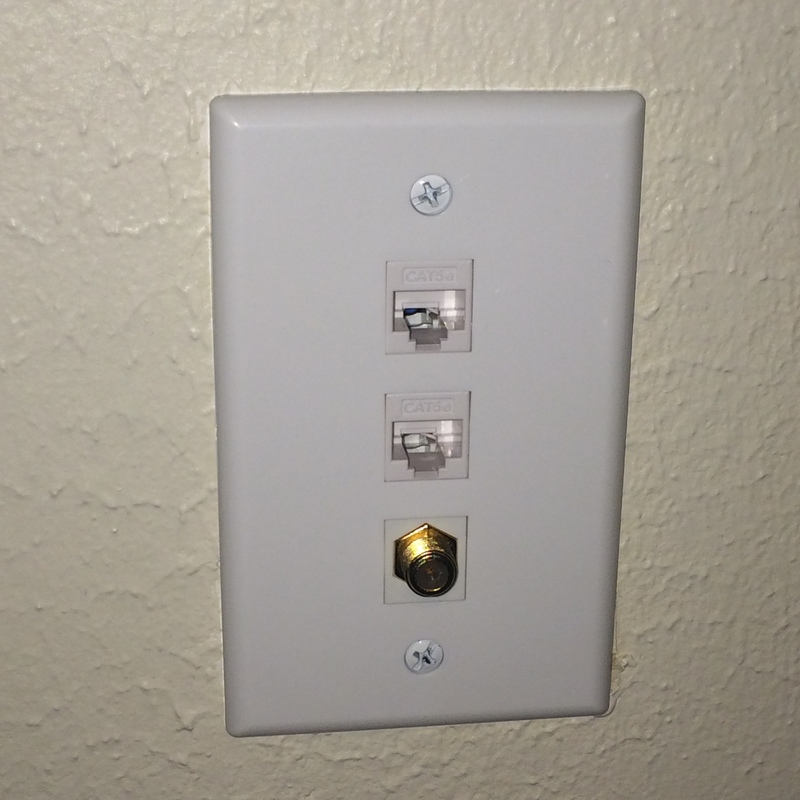 c) Where did you purchase the wall jacks that include 2 CATs and 1 RG6? When direct tv did the initial setup they gave me that 8 way splitter. But you can find it here http://www.amazon.com/DIRECTV-SWS-STR8-SWM-8-Way-Splitter/dp/B004Z1C4U4. I could not find a deep swivel rack at the time, the only racks that had a swivel were the shallow ones. But this may work for you http://www.monoprice.com/product?p_id=10657.